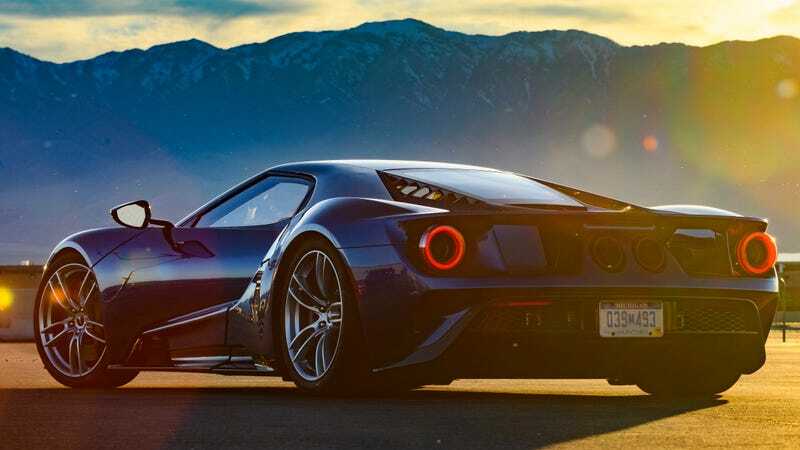 Around 200 Ford GTs are being recalled because hydraulic fluid could leak onto the exhaust and “may cause a fire,” Ford says. One fire in Germany has been confirmed to be related to the issue, though Ford says no one was injured in that fire and the company is not aware of any other incidents or injuries related to the issue. Recalls on supercars are not terribly uncommon, but get more attention because, well, if you’re spending half a million dollars on a car you expect it to be perfect. Indeed, Bugatti has a team of “Flying Doctors” that do house calls when its cars are recalled. Ford isn’t quite that fancy. Dealers will perform a software update to the fully integrated vehicle controller, which eliminates the possibility of excessive pressure in the valve block assembly. Some vehicles will have a rear wing hydraulic check valve installed and will have o-rings and filter replaced, if needed. Ford says there are 194 GTs in North America that are recalled, with 176 of those in the U.S. and 18 in Canada. All of the cars were built from December 20, 2016 to July 31 of this year. Those numbers represent about a fifth of the entire production run of the 647-horsepower GTs, as Ford plans to make 1,000 in total. If you’ve got one that’s been recalled, I’m sure Ford’s contacted you already, but maybe reach out to be safe.